The arm consists of a complex network of tendons, joints, ligaments, bones, muscles, veins, arteries, blood vessels and nerves, all of which are vulnerable to serious injury from repetitive use, workplace accidents, or traumatic accidents. 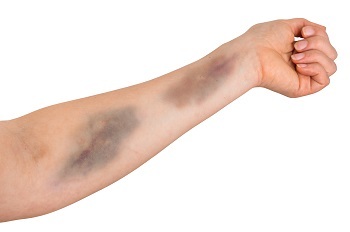 While many arm injuries are caused by traumatic events like car accidents or slip and fall accidents, some of the most severe arm injuries in Atlanta are the result of repetitive use, which can lead to chronic pain and long-term disability, ultimately resulting in the inability to work and loss of income in some cases. If you have suffered from a serious arm injury in Georgia, contact our qualified arm injury attorneys at Rechtman & Spevak to discuss your legal options. Our lawyers are experienced in representing arm injury victims, so contact our attorneys today for a free initial consultation. CRPS and RSD are particularly devastating arm injuries because they are chronic conditions that prevent damaged nerves from properly controlling blood flow, sensation and temperature of the affected area. Both CRPS and RSD are workplace injuries associated with repetitive use of the arms. Symptoms associated with CRPS and RSD include intense, burning pain that can spread to the whole limb or to a limb on the opposite side of the body. There is no cure for CRPS or RSD, and complications can include loss of muscle size or strength in the affected limb, spread of the disease to another part of the body, or worsening of the affected limb. Arm injuries are devastating for anyone whose arm function or mobility is compromised, but the associated consequences can be even more serious for individuals who depend on their arms to perform their duties at work. For these victims, the costly medical bills associated with a broken arm, nerve damage, or amputation may be compounded by the inability to work or gain a viable income. Under these circumstances, the victim may suffer from a substantial financial hardship in addition to extensive physical pain. Fortunately, for victims whose arm injuries were caused by an accident at work, medical or disability benefits may be available through their employer’s workers’ compensation insurance. On the other hand, victims of arm injuries caused by a motor vehicle accident or another type of traumatic accident may have grounds to file a personal injury lawsuit against the person found at-fault in the accident. Arm injuries in Georgia can result in significant physical pain, a severe financial burden and devastating emotional suffering. If you or a loved one has suffered a serious arm injury in Georgia, contact our qualified arm personal injury lawyers at Rechtman & Spevak today to discuss your legal options. Our Atlanta law firm and our lawyers are experienced in representing victims of serious arm injuries across Georgia. With the help of a skilled arm injury attorney, victims of arm injuries in Atlanta can protect their legal rights and collect the financial compensation they deserve.